It’s not surprising that tickets were sold out before the end of the night for the 8th Annual Lions Club Fish Fry and Silent Auction held last Friday night in Zurich. ‘This year was one of the best yet’, says Lion / Bartender John Becker. The meal, comprised of crispy, battered whitefish, tartar sauce, dinner roll, baked potato with butter and sour cream, coleslaw and pie for dessert was absolutely amazing and Chef Terry Johns and his crew did a fantastic job. The intermittent rain didn’t put a damper on their spirits as they worked outside at the portable fryer that was their ‘kitchen’ for a good part of the evening. 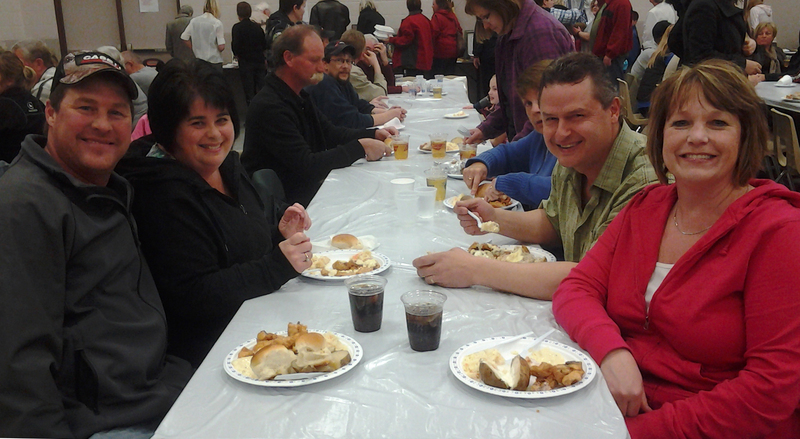 You’ll always find yummy desserts being served a community dinners in Huron County. 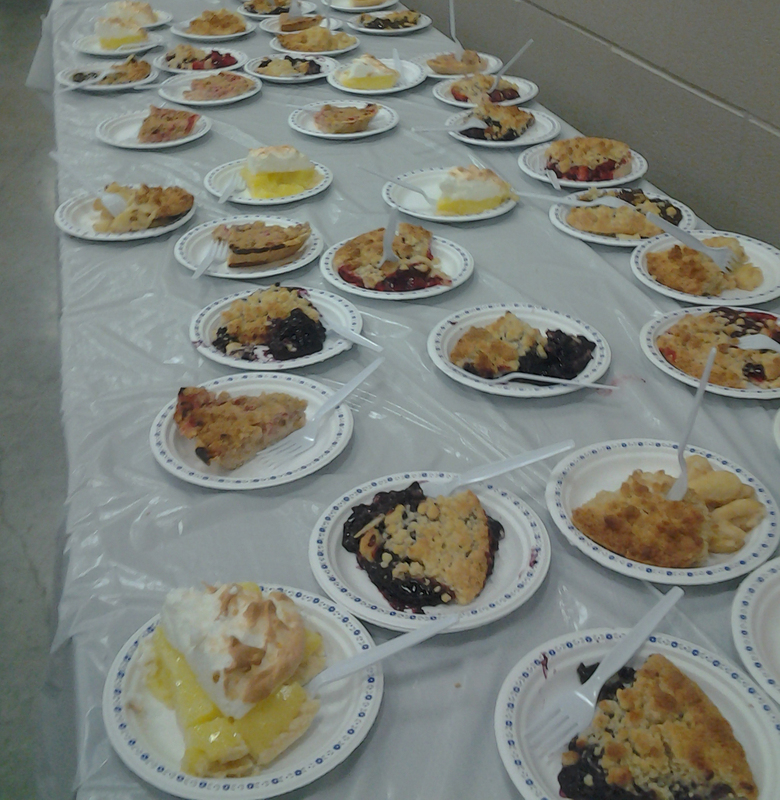 Home-made pie is one of the most popular. The hundreds of items graciously donated by area businesses for the silent auction also contributed significantly to the success of this fundraiser. As a local resident since birth I think I can say that Zurich doesn’t exactly have the reputation of the classiest village in the area but what we do have is a lot of caring individuals who are actively involved and trying to make a difference, and this event was indeed a class-act. The amount of work it must have been to put on an event of this magnitude is not something some might even consider but is something that really should be appreciated. Go Lions!